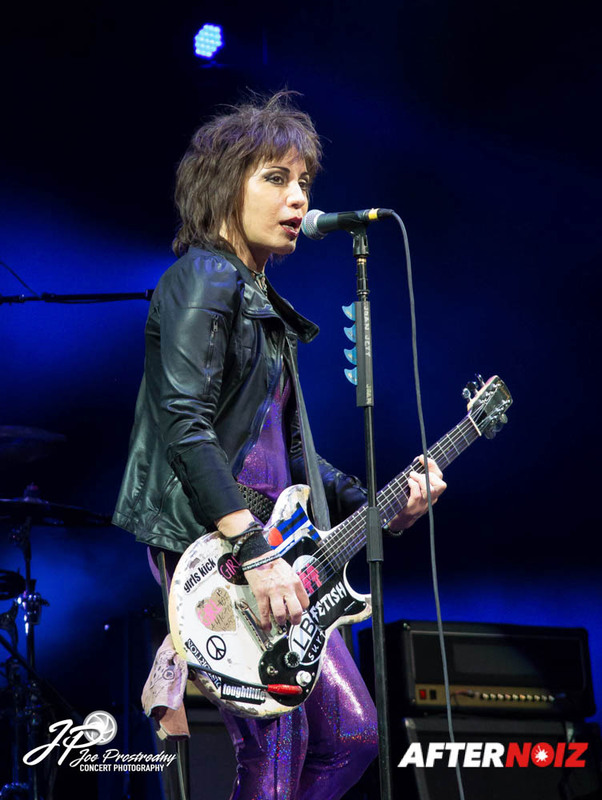 The show was billed as the Rock Hall Three For All… a massive summer tour with three Rock and Rock Hall of Fame inductees, including Cheap Trick (inducted 2016), Joan Jett (inducted 2015), and Heart (inducted 2013). 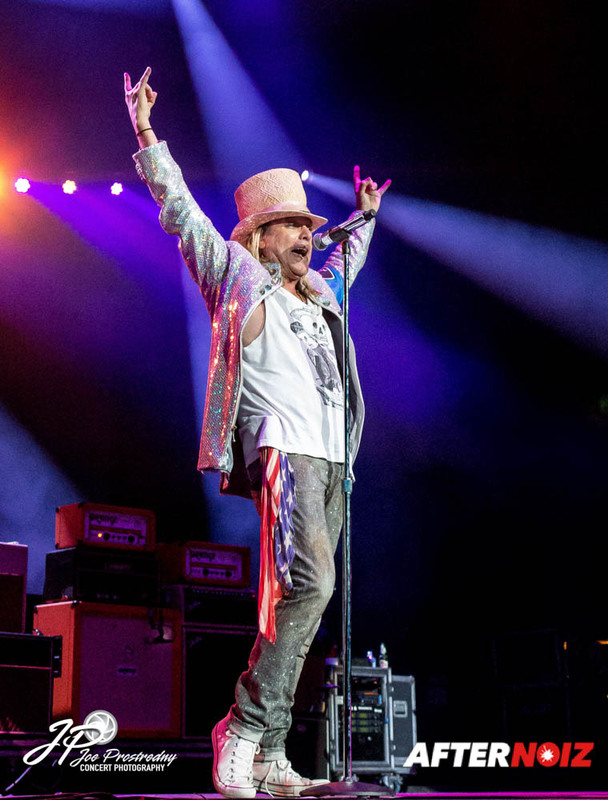 The tour was scheduled for 30 dates across the United States… none of which were actually in Cleveland where the Rock and Roll Hall of Fame is located. 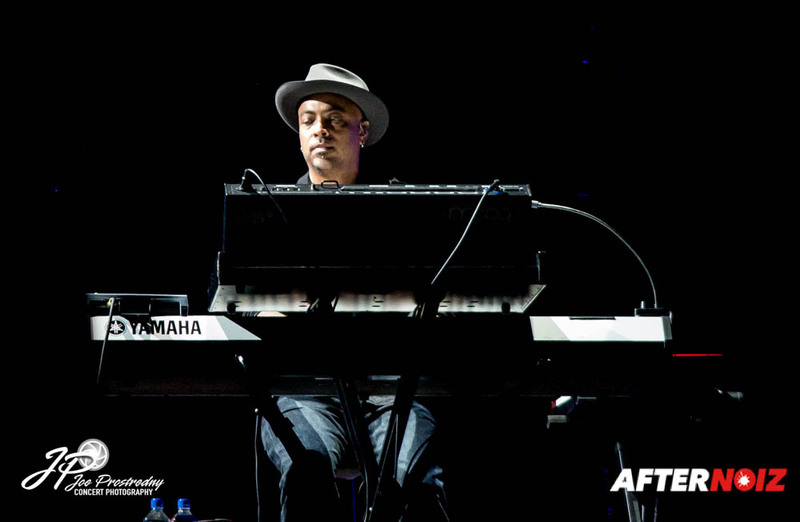 All three musical acts began their run in the 70s, rising to a high level of fame. But this was no reunion tour, as all three have remained active; touring and releasing albums throughout their careers. I was a huge fan of all three from back in the day, and have remained a fan through thick and thin spanning over 40 years! There was no way I was going to miss this! 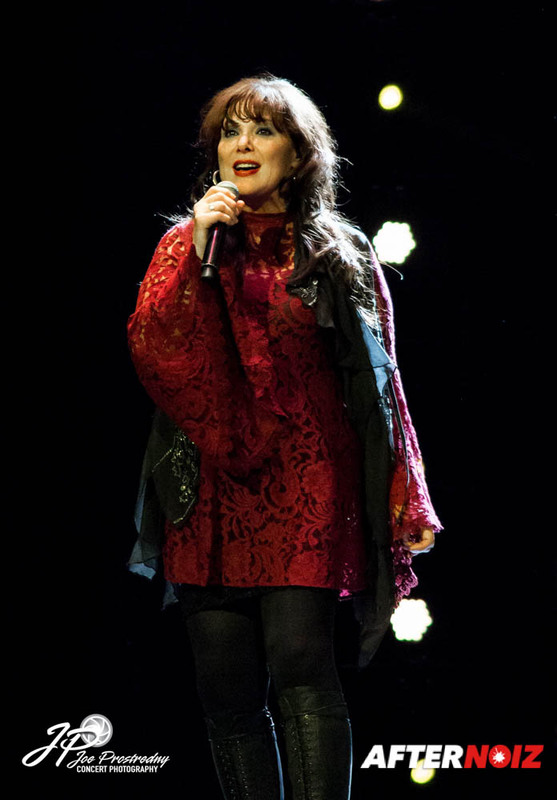 I have seen Heart several times in the past, the most recent of which was just 3 years ago. 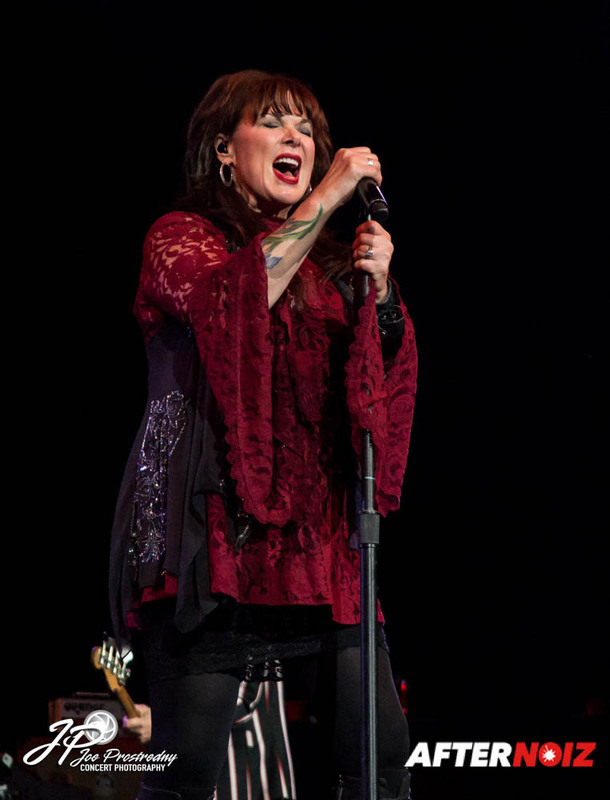 Sisters Ann and Nancy Wilson always put on a quality show and I was really looking forward to seeing them again. 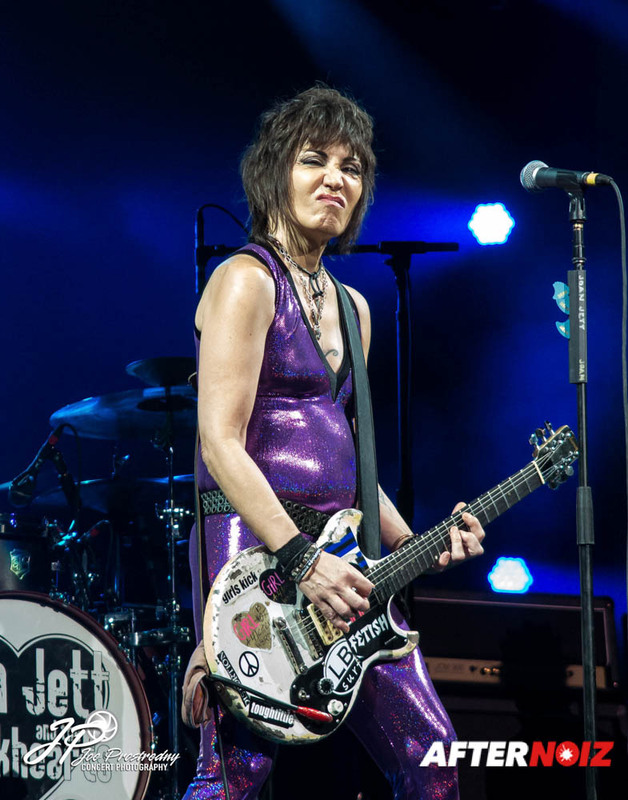 I regrettably never got to see Joan Jett during her time with The Runaways back in the 70s, but I did catch her during her “I Love Rock and Roll” Tour in 1981. 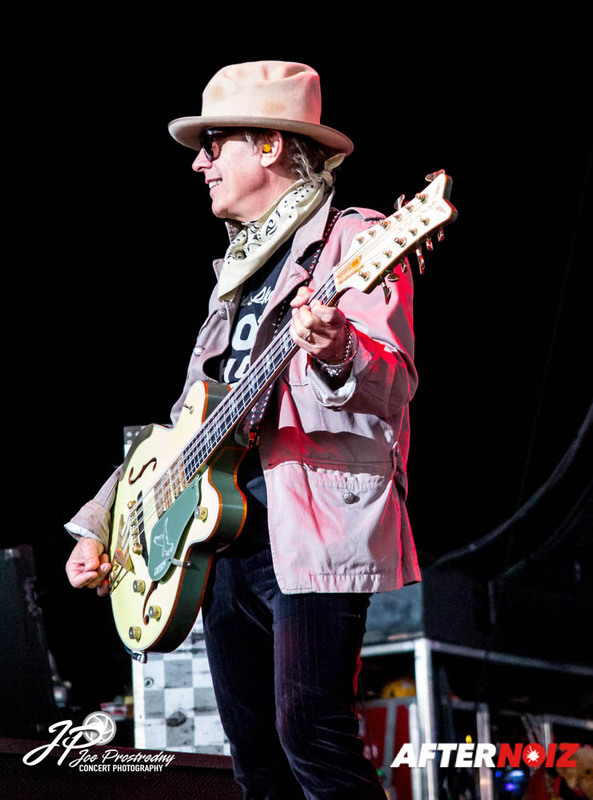 Even though I was a huge fan of Cheap Trick, the stars never aligned, and I never got to see then live before this tour. But I was about to make up for that oversight! 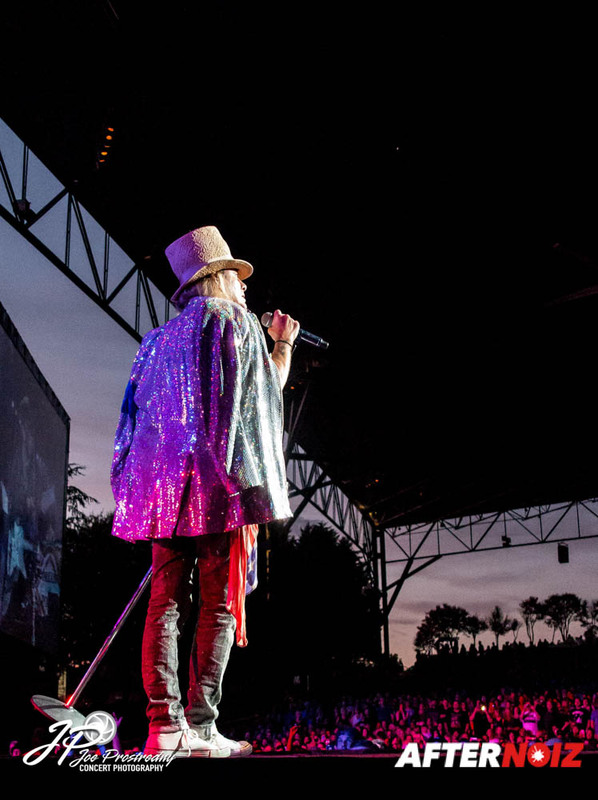 The most local show to me was at the Jiffy Lube Live Amphitheater in Bristow, Virginia on the outskirts of Washington DC. 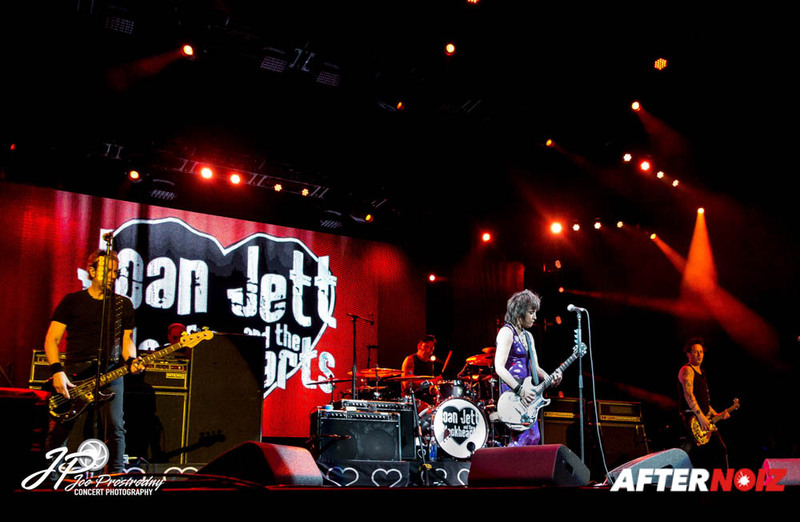 The venue has a capacity of 10,000 within the amphitheater and space for an additional 15,000 on the lawn area. 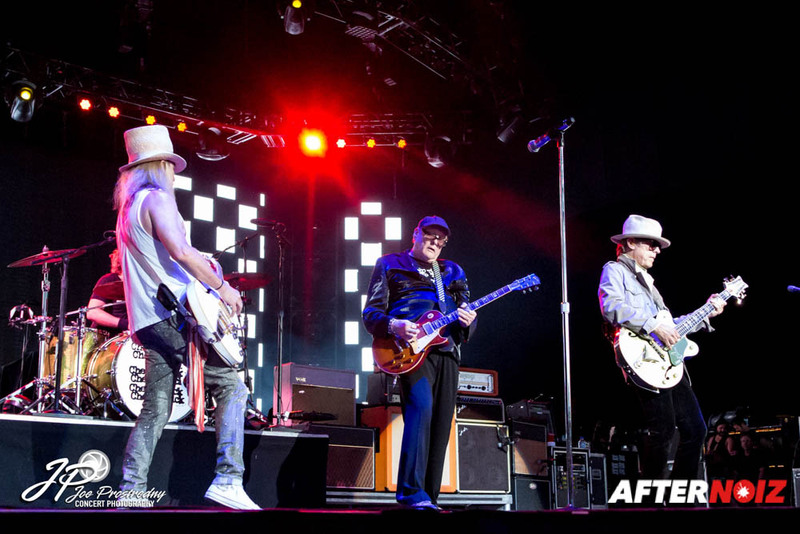 Cheap Trick kicked off the night off right with a twelve song set of their classic tunes from the 70s and the 80s. 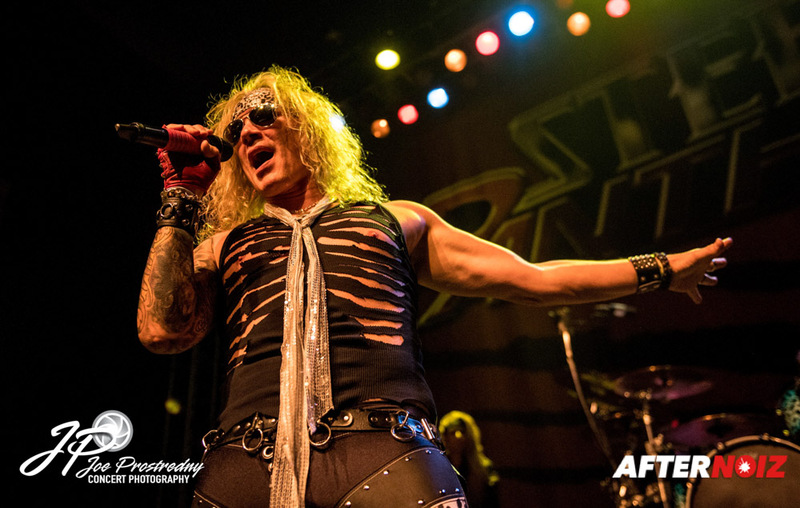 I was a bit surprised that they didn’t play any of their more recent songs as they have been a very prolific band… releasing 17 studio albums to date including 2016’s “Bang, Zoom, Crazy… Hello”. 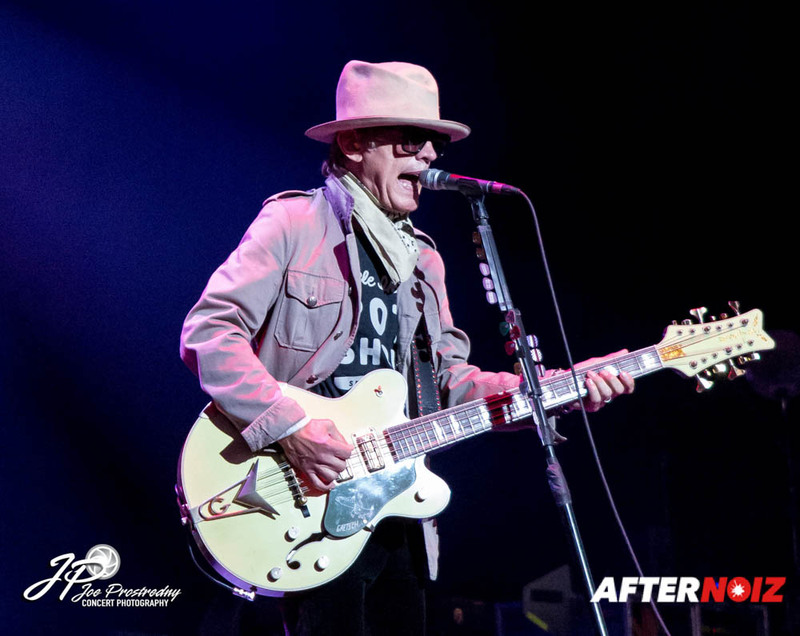 This version of Cheap Trick was pretty close to the classic lineup, with Robin Zander on lead vocals and guitar, Rick Nielson on lead guitar, and Tom Petersson on his classic 12 string bass. 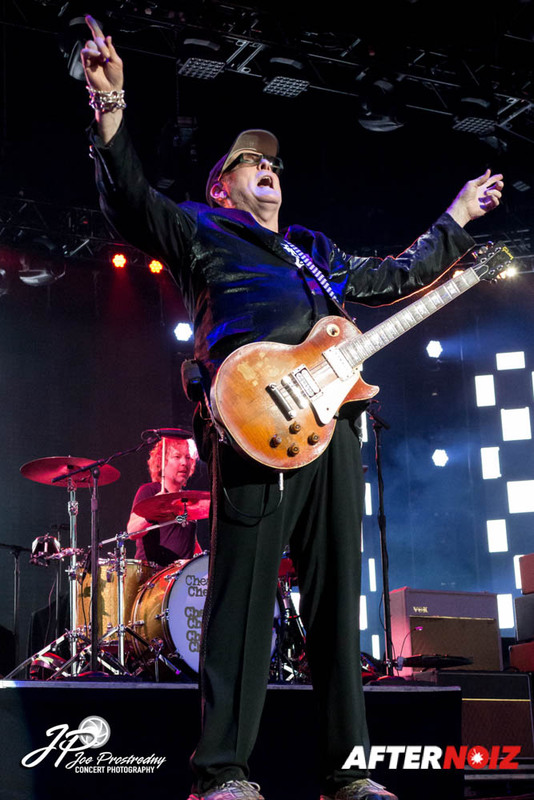 Although the band still claims that original drummer Bun E. Carlos is still a member of the band, he hasn’t recorded or played live with them since 2010… except during their Rock and Roll Hall of Fame induction. 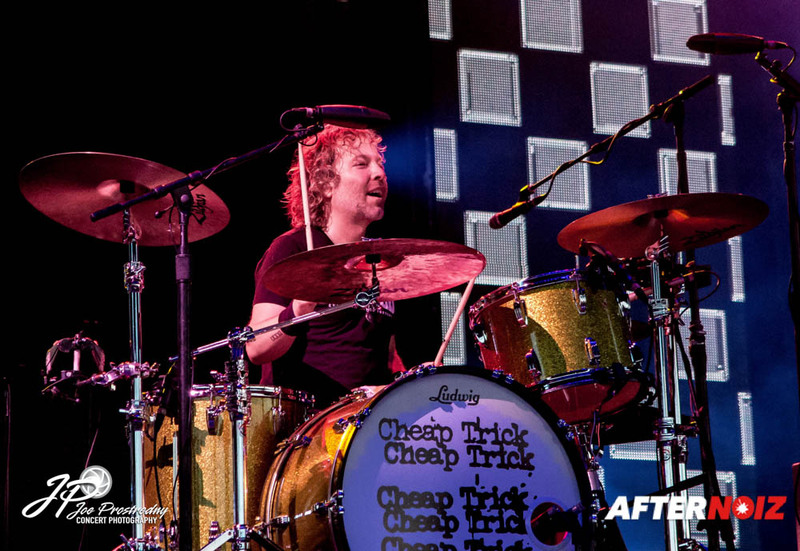 Drumming duties have since been taken over by Rick Nielson’s son Daxx. 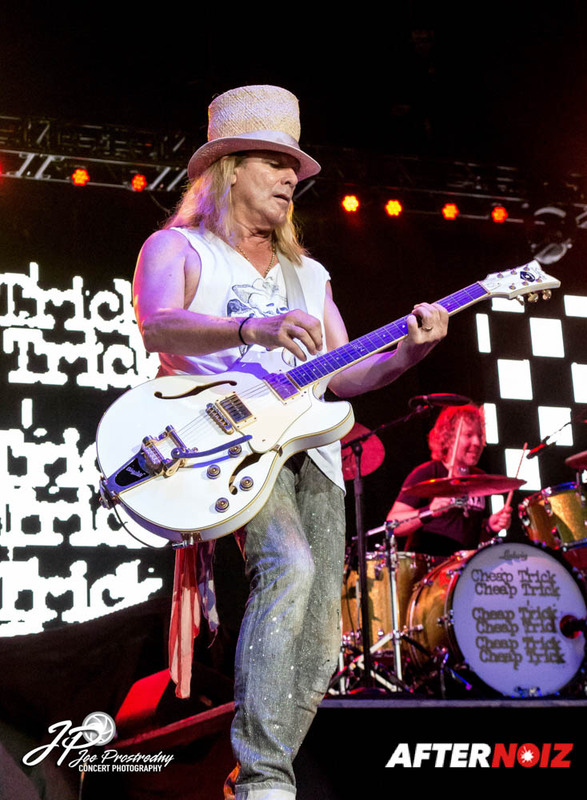 Cheap Trick has been a very consistent band over the years, sticking to their successful pop/rock formula that catapulted them to success four decades ago. It was a thrill for me to finally see them live after playing their records incessantly during my high school days back in the seventies. They put on a great show, both visually and musically. 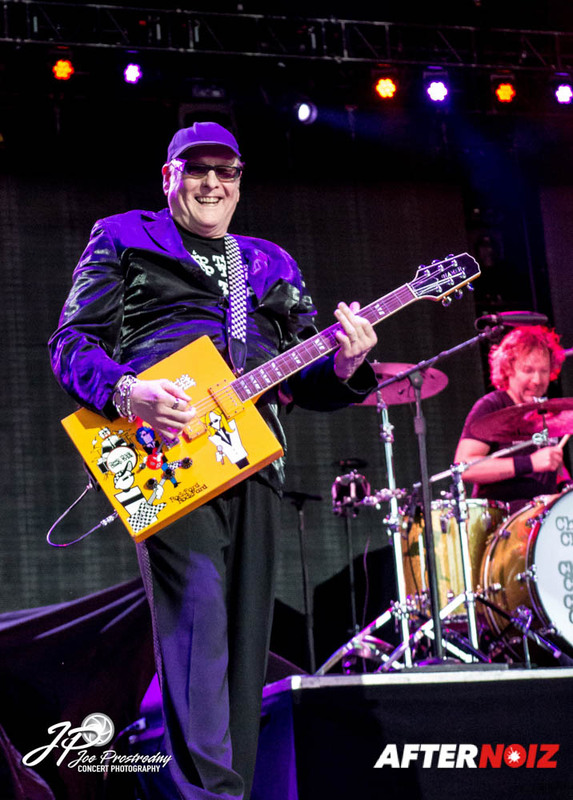 As expected, Rick Nielson was the scene stealer with his crazy on stage antics and constantly changing parade of oddly shaped guitars. The show started with the appropriately titled, “Hello There” which was followed by The Move cover “California Man”. 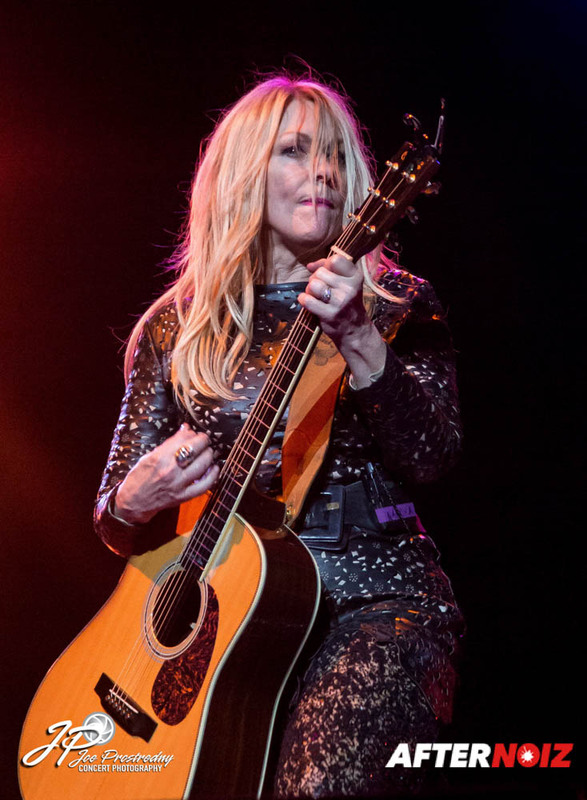 Other songs from their early career included: “Look Out”, “Baby Loves to Rock”, “Tonight It’s You”, “Downed”, and “Need Your Love”. 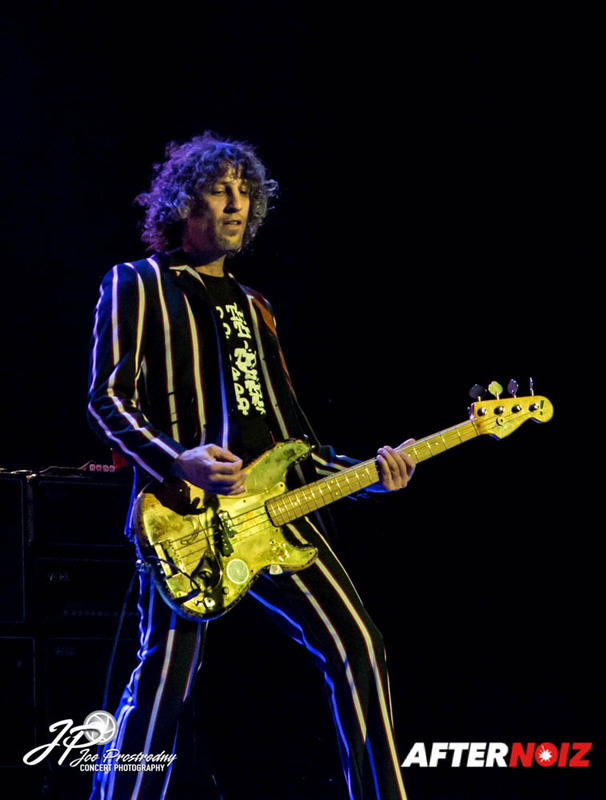 Tom Petersson took over lead vocals for the Velvet Underground cover, “I’m Waiting for the Man”. 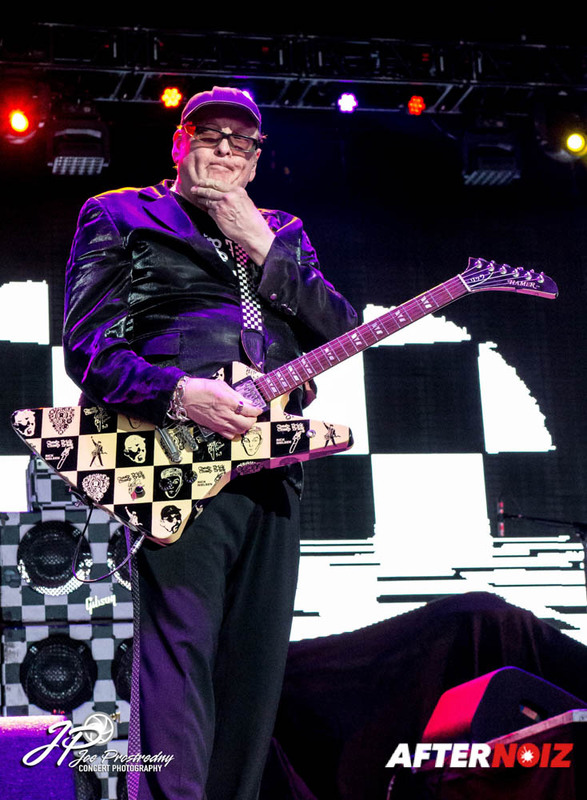 This was followed by Cheap Trick’s first #1 single “The Flame” and their most famous hit “I Want You To Want Me”. The final two songs of their set were “Dream Police” and my all time favorite “Surrender”. 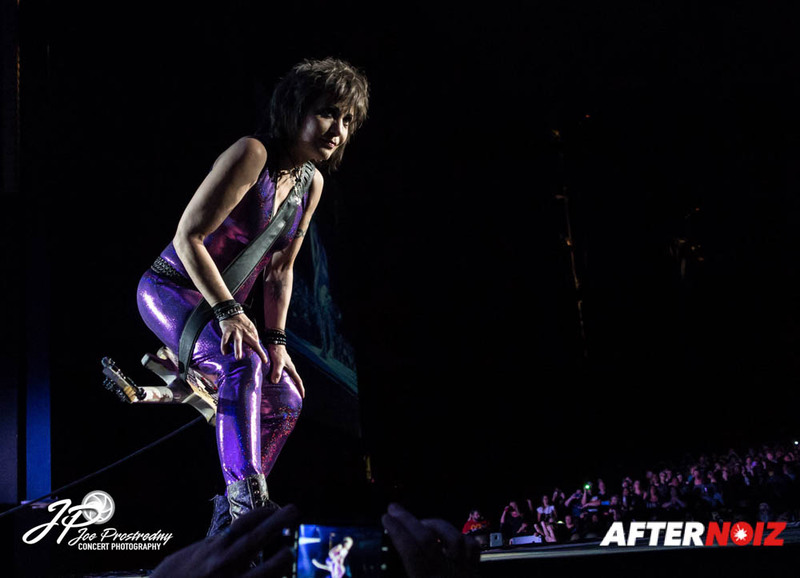 Joan Jett took the stage next with her famous punk influenced rock and roll. 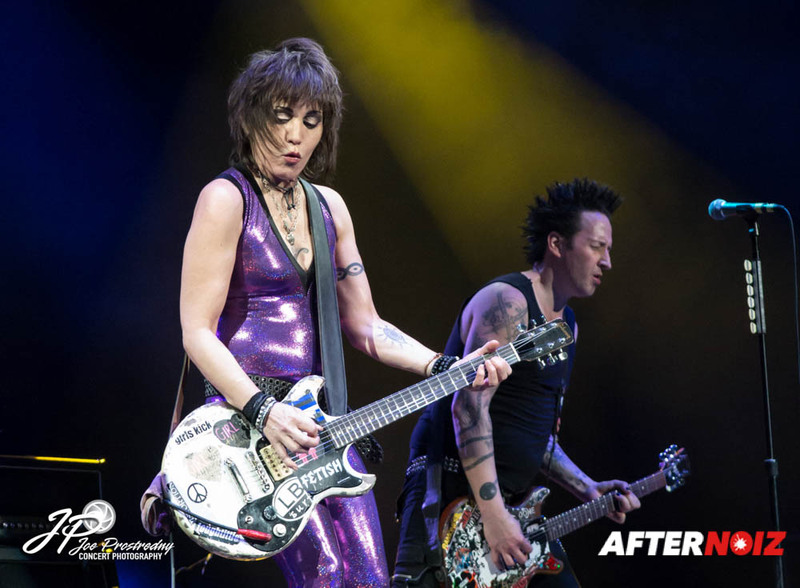 She has always toured as Joan Jett and The Blackhearts, but her Blackhearts have changed over the years, and none of the originals remain. 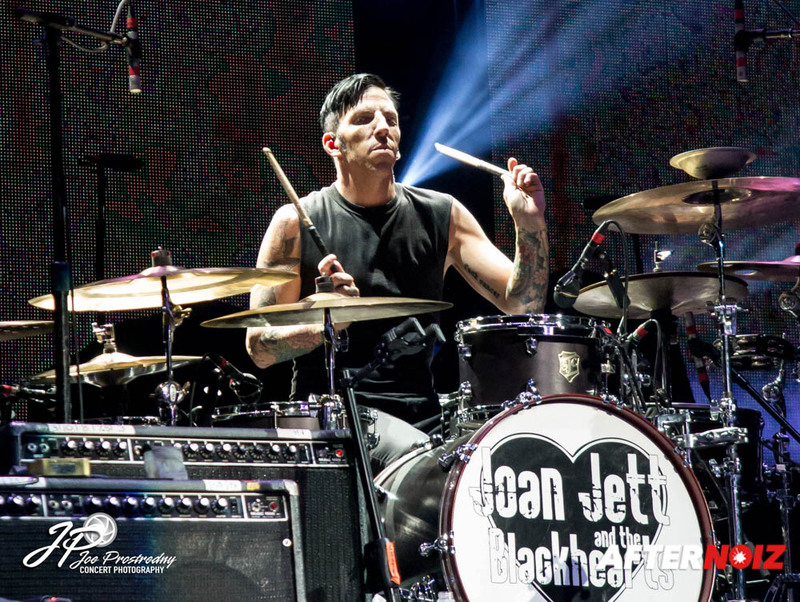 The current lineup consists of Dougie Needles on lead guitar and Thommy Price on drums… both of which have been with Joan since 2003. 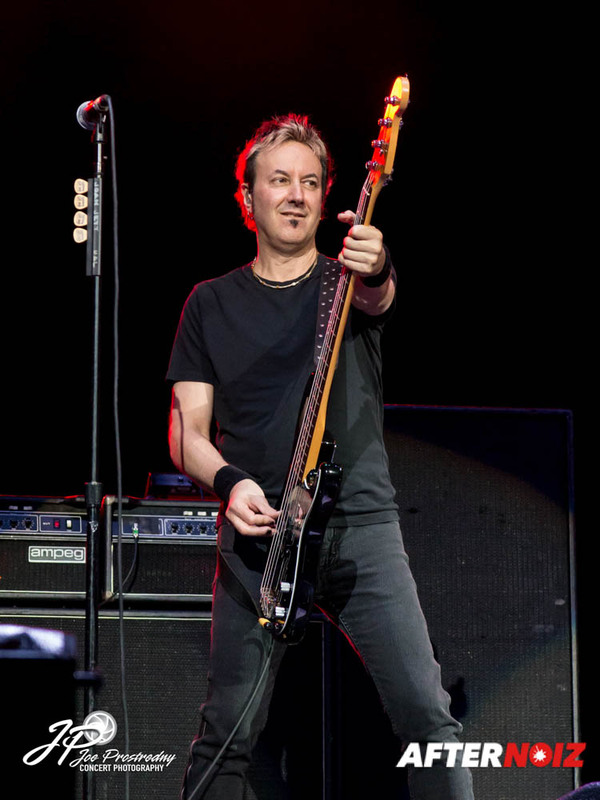 Bass duties are currently provided by Hal Selzer, who joined the group last year. 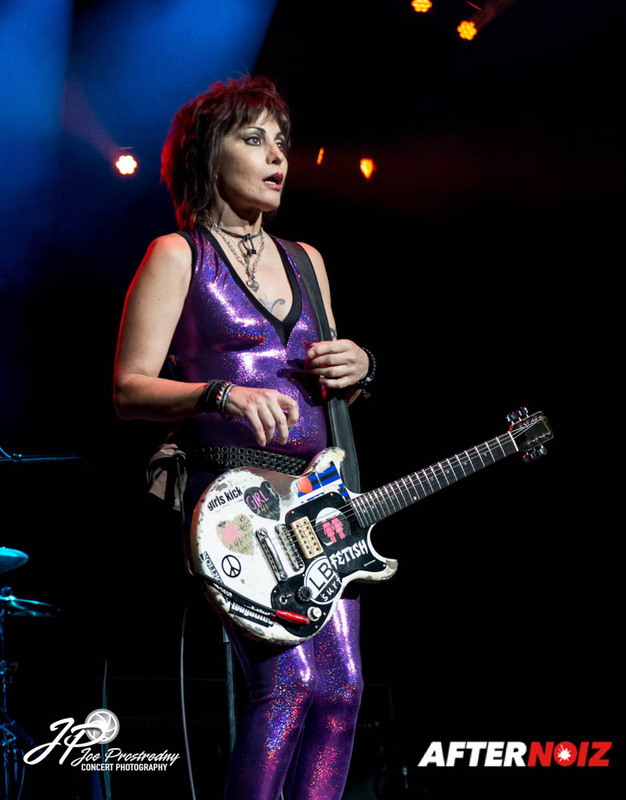 As soon as she hit the stage, I was instantly transported back to 1981 when I first saw Joan perform at The Agora in Atlanta. She has a very timeless appearance and still has all the energy and the attitude that she had back in the early days of her career. 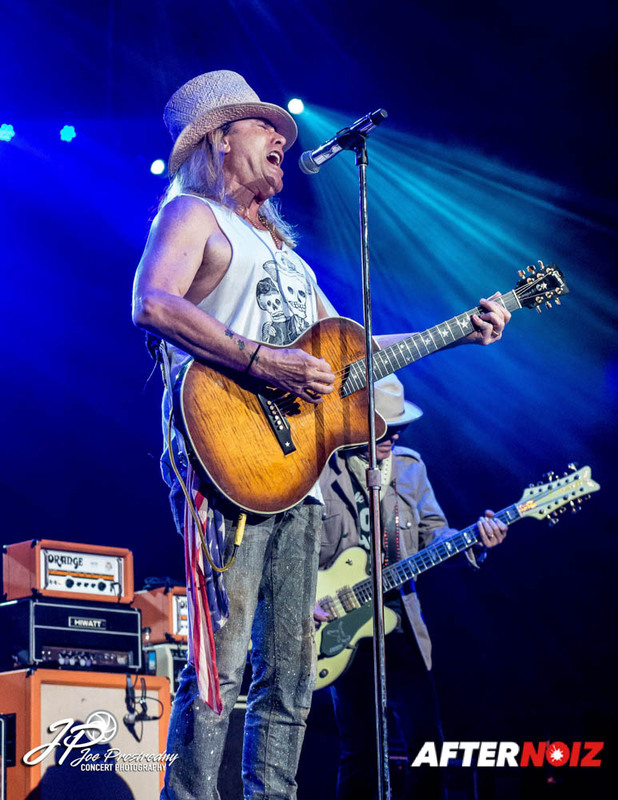 It was a high energy, fun, sing-a-long set. 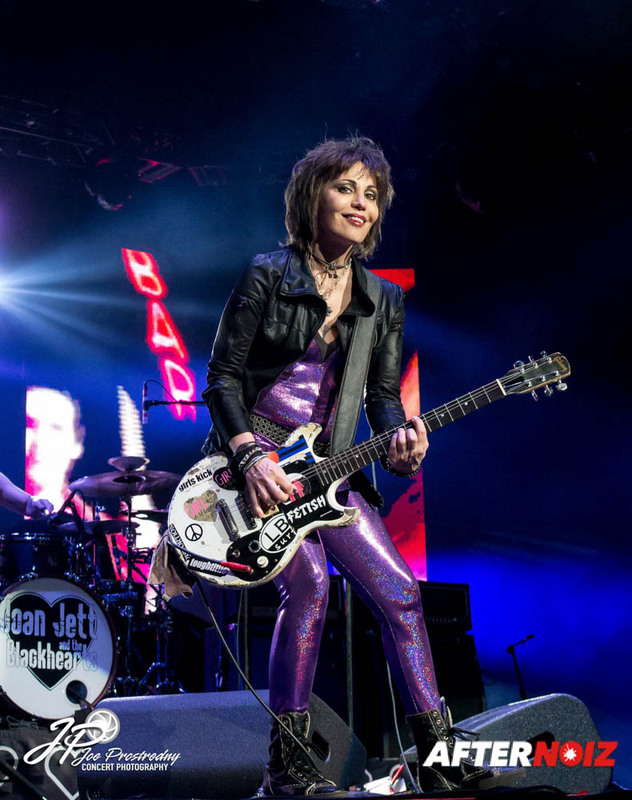 Joan and her crew hit the stage with her classic, no apologies attitude with the appropriately titled song, “Bad Reputation”. 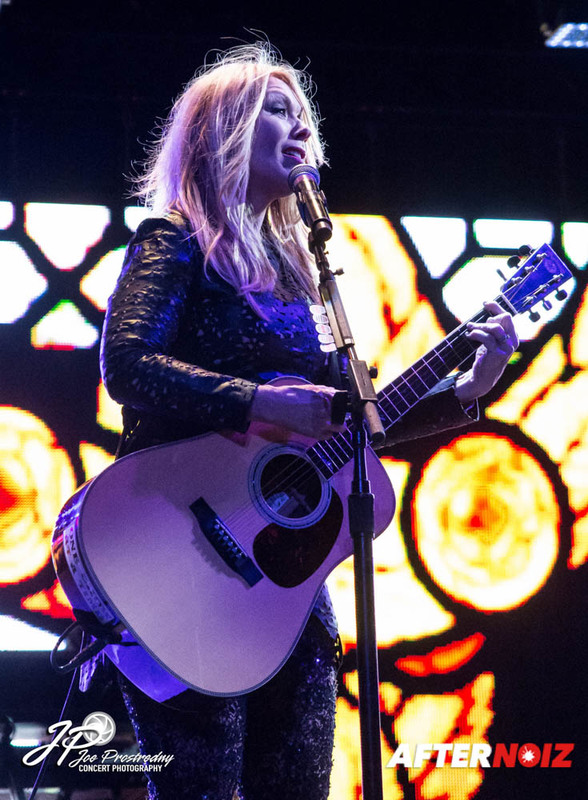 She played several other of her originals, including: “TMI”, “Fragile”, “Love is Pain”, “Fake Friends”, and “Any Weather”. 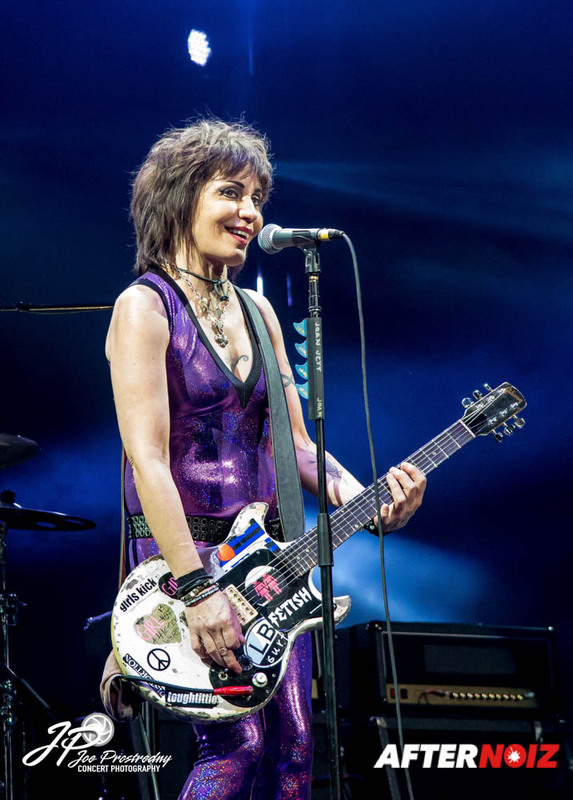 Unbeknownst to most people, a large number of Joan’s hit songs over the years are actually cover tunes that she has made her own and has taken to levels of popularity that surpassed that of many of the original artists. 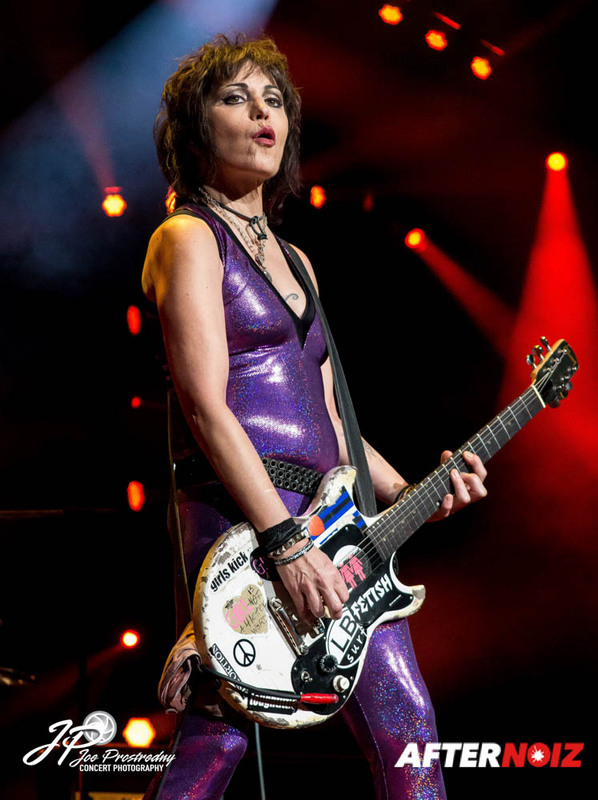 She always goes back to her roots with a few Runaways’ covers, and tonight we were treated to the ever infamous “Cherry Bomb” and my favorite “You Drive Me Wild”. Additional covers in the early part of the set were Gary Glitter’s “Do You Want to Touch Me?”, and Bruce Springsteen’s “Light of Day”. 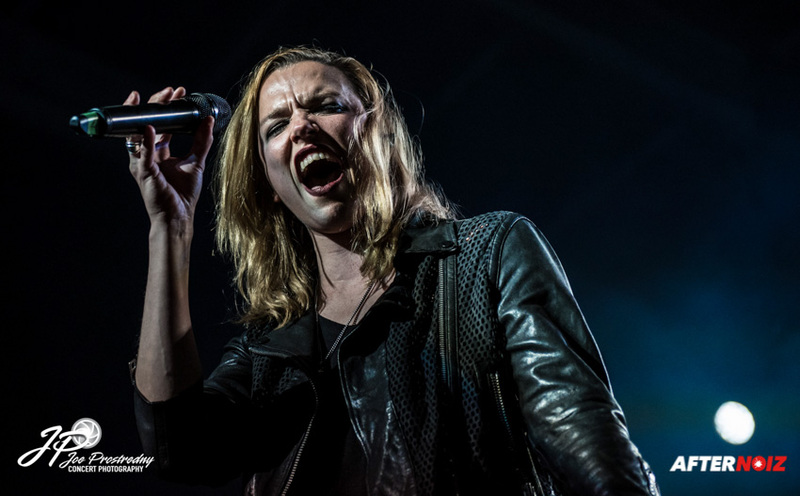 The energy of the crowd became explosive when she launched into her biggest hit, The Arrow’s cover “I Love Rock and Roll”. 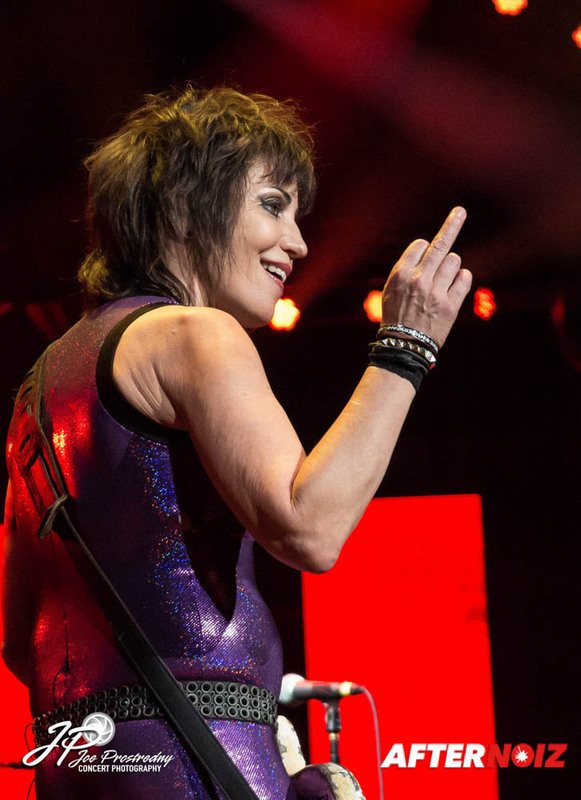 Joan followed up with the sing-a-long favorite “Crimson and Clover” (Tommy James cover), and my favorite Joan Jett original “I Hate Myself For Loving You”. 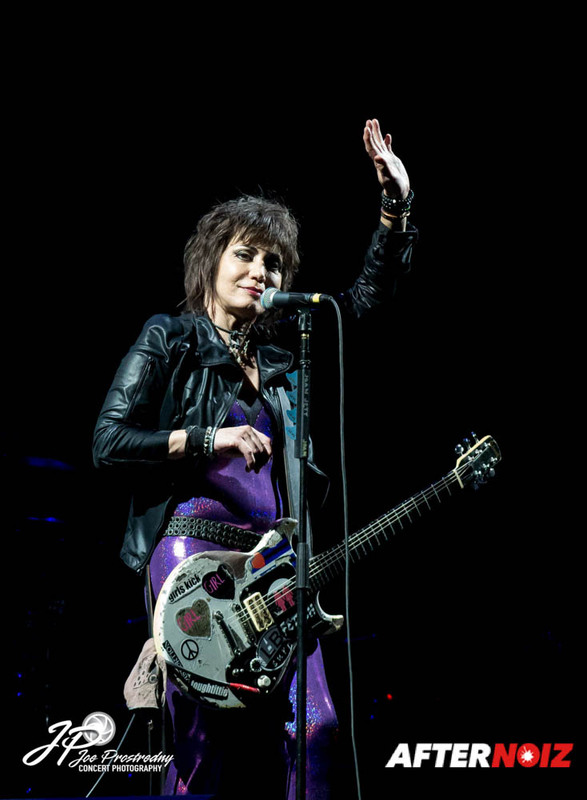 The final song of Joan’s set was introduced as a reminder that, in a time of increasing intolerance, we need to be nice to each other: the Sly and the Family Stone cover: “Everyday People”. 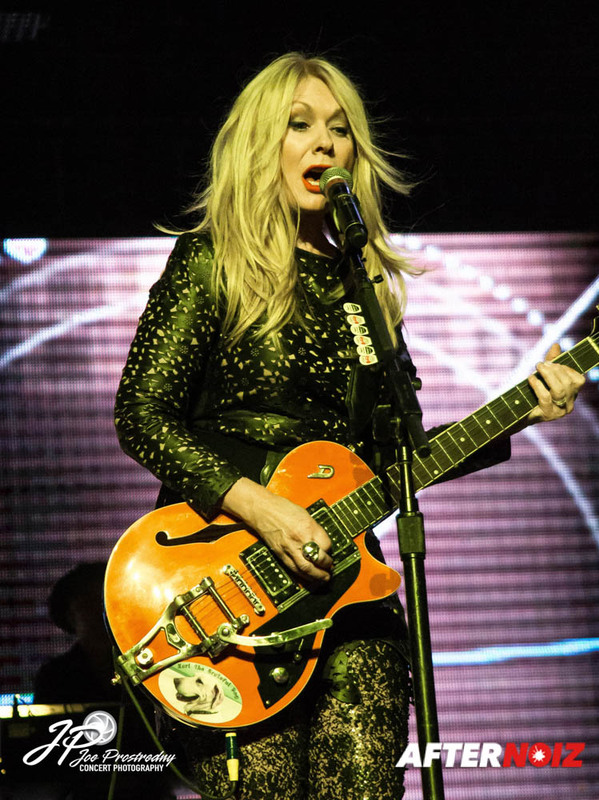 Although I loved all the bands that played that night, Heart, overall has had the biggest influence on me. I still consider them one of my favorite bands of all time and I’ve seen them play live more times than I can count. They have never failed to deliver a great performance. 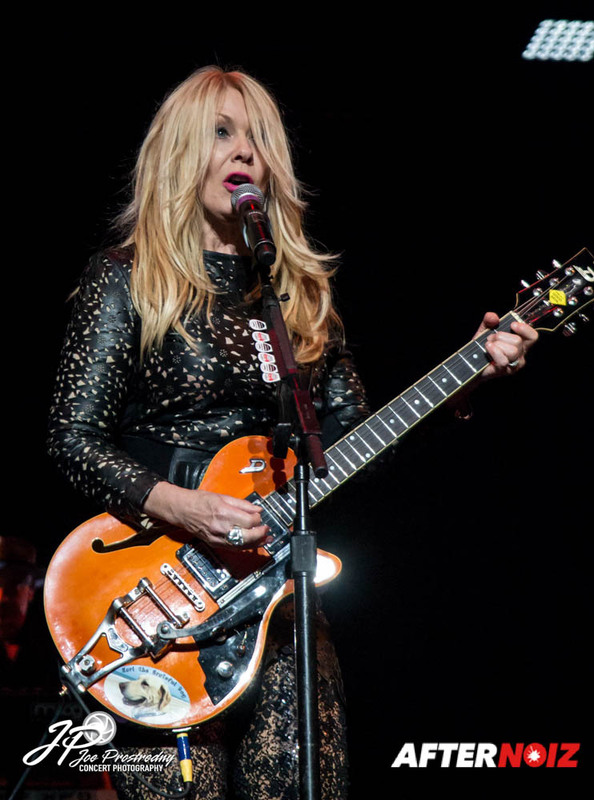 I do miss the days when Heart was more of a band, though. 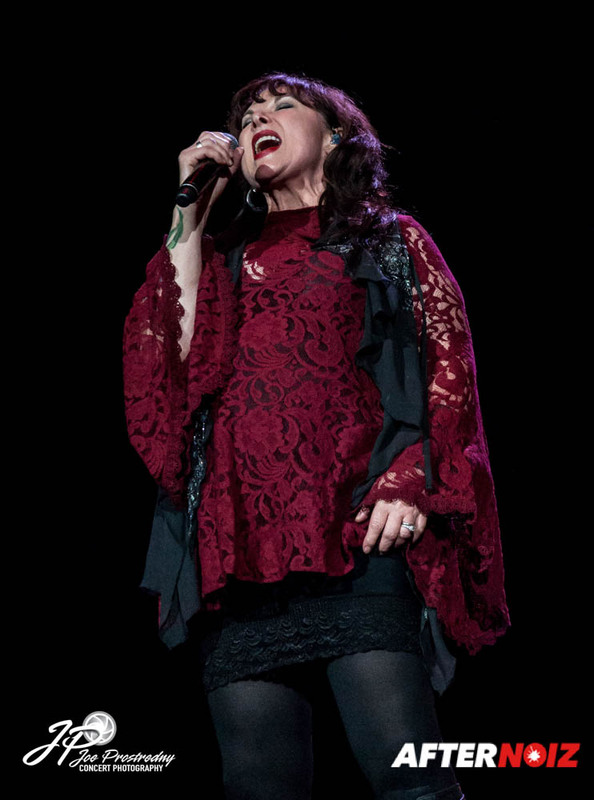 Today, Heart is really the Ann and Nancy Wilson show with a set of talented backup musicians that don’t spend a lot of time in the forefront or interact much with Ann and Nancy. 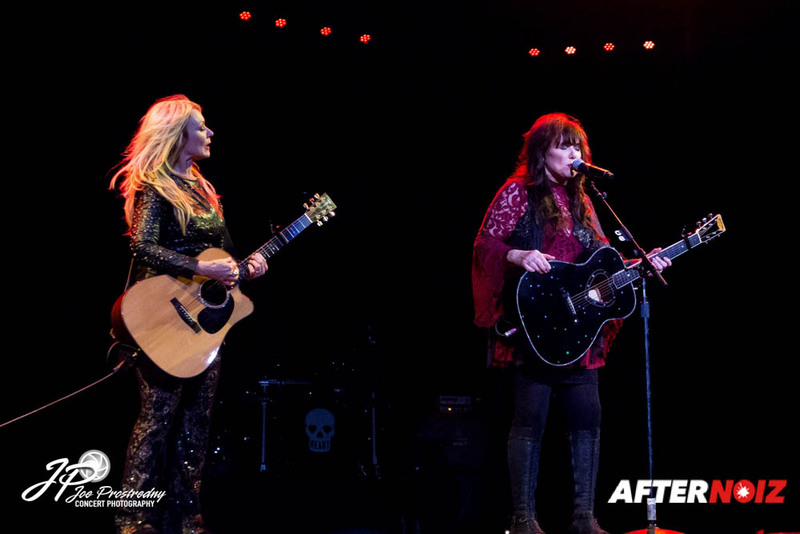 Nevertheless, I commend the Wilson sisters for still being willing to get out there and tour, as well as continue to release new music… including this year’s fantastic new Heart album, “Beautiful Broken”. They really put on a phenomenal show! I can’t say it lived up to the ones I saw back in the 70s and 80s, but it was definitely the best show I’ve seen them deliver in the last 20 years. Ann looked the best I’ve ever seen her, and her vocals were just as powerful and beautiful as they were back in the beginning. 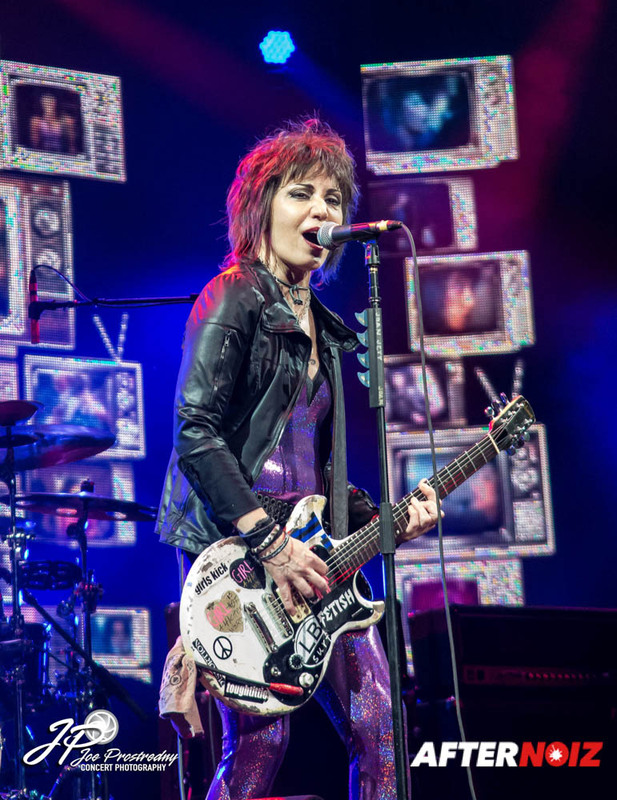 Nancy still has all the energy and attitude of the 1970s rock guitar goddess that she always was, even though her signature high kicks are now few and far between. 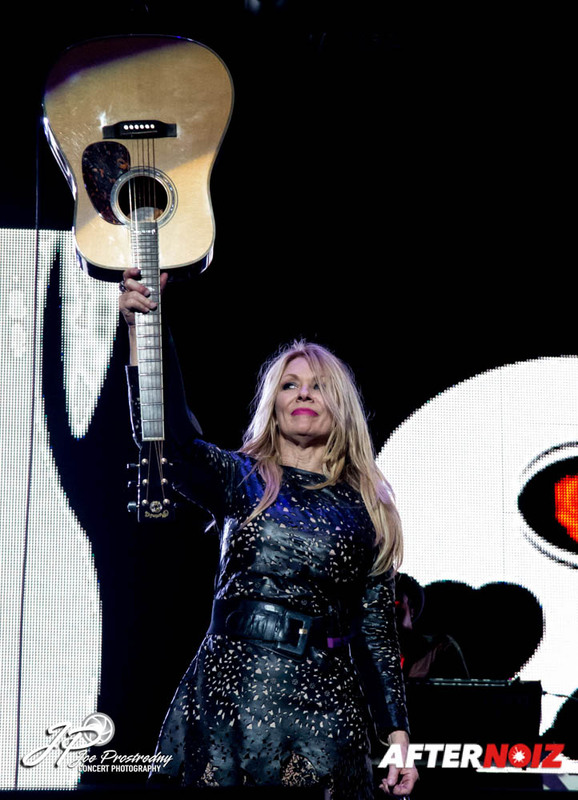 There are very few bands that can still deliver this kind of performance after over 4 decades… Heart can definitely still bring the show! 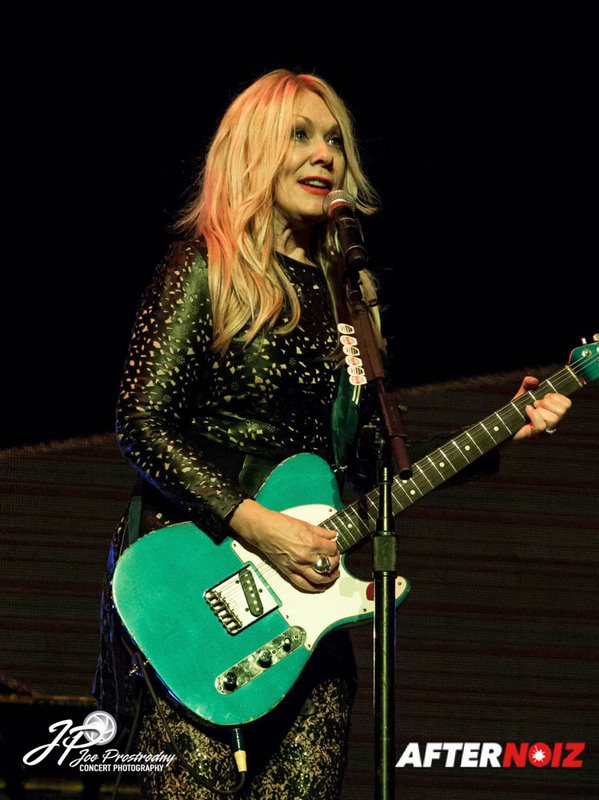 Heart’s set began with the high energy “Wild Child” followed up with their famous rocker, “Magic Man”. 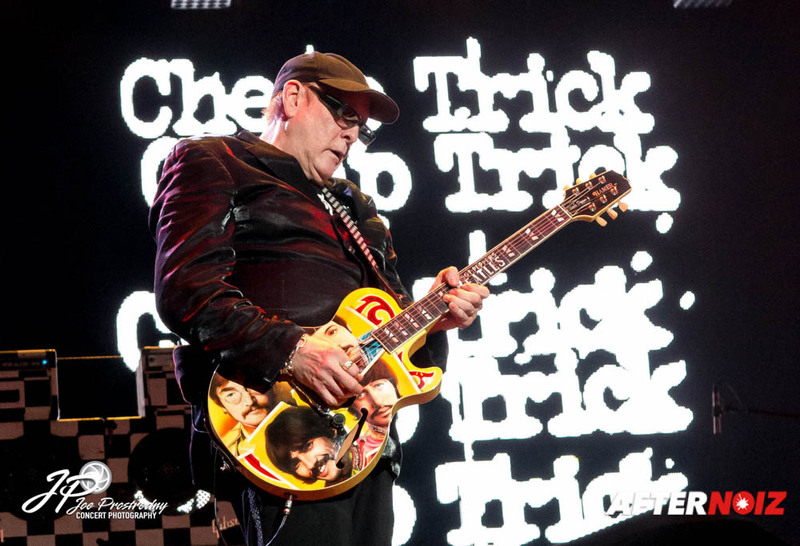 They had left Magic Man out of some of their early shows on the tour… I was so glad they put it back in the set!! 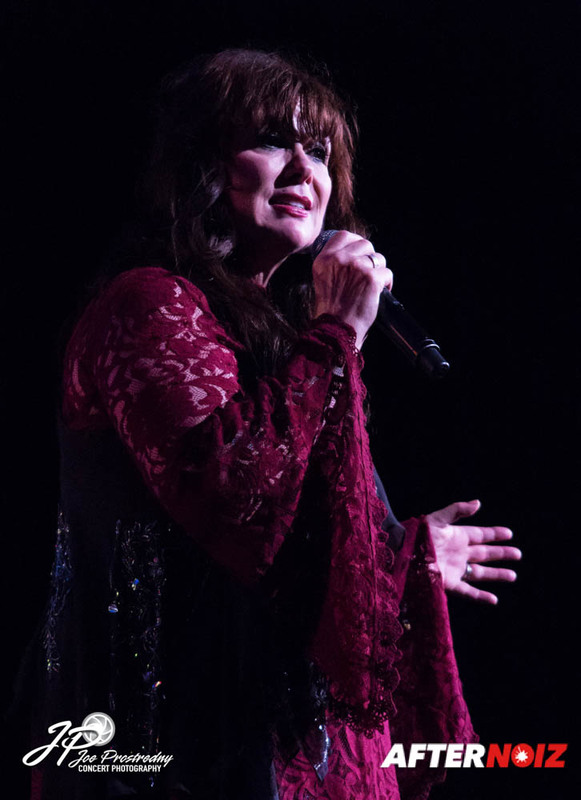 “What About Love” and “Even it Up” were next, followed by two songs with Nancy on lead vocals: “These Dreams” and “Two” (from their newest album). 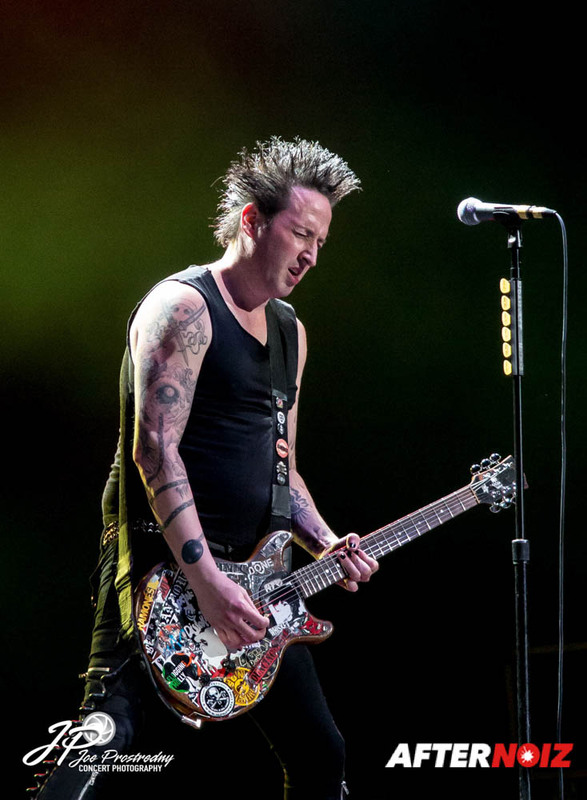 “Straight On” and “Kick it Out” ramped the energy back up before Heart hit us with the hard driving, awesome title track from “Beautiful Broken”. We got one more power balled, “Alone”, before the band ended their regular set with the classic rockers, “Crazy On You” and “Barracuda”. 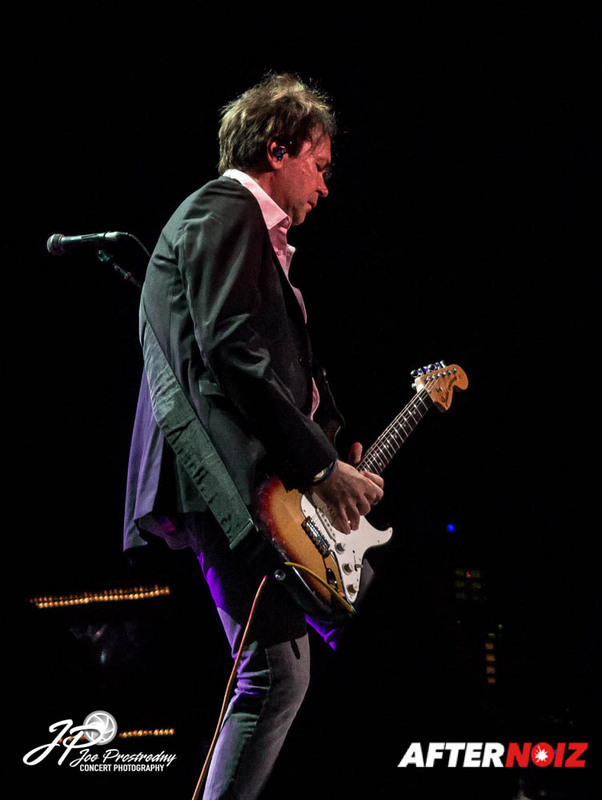 The encores began with a special treat, the first ever live performance of “Sun”, a tribute to the victims of 9/11… appropriate as this night’s show was on the 15th anniversary of the tragedy. Next up were the ever present Led Zeppelin covers. 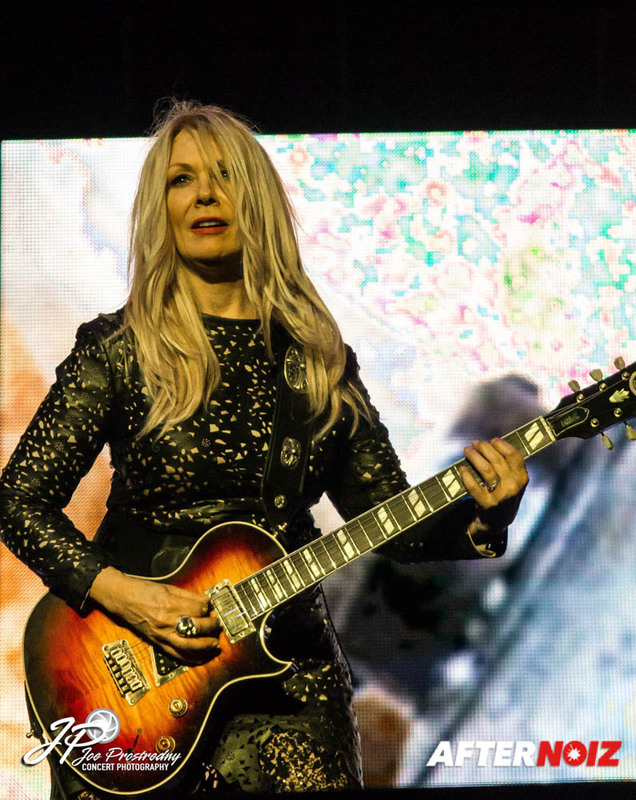 Heart began their early career as a Led Zeppelin cover band, and as usual, they paid tribute to their idols. The first was an incredible version of “The Immigrant Song”. 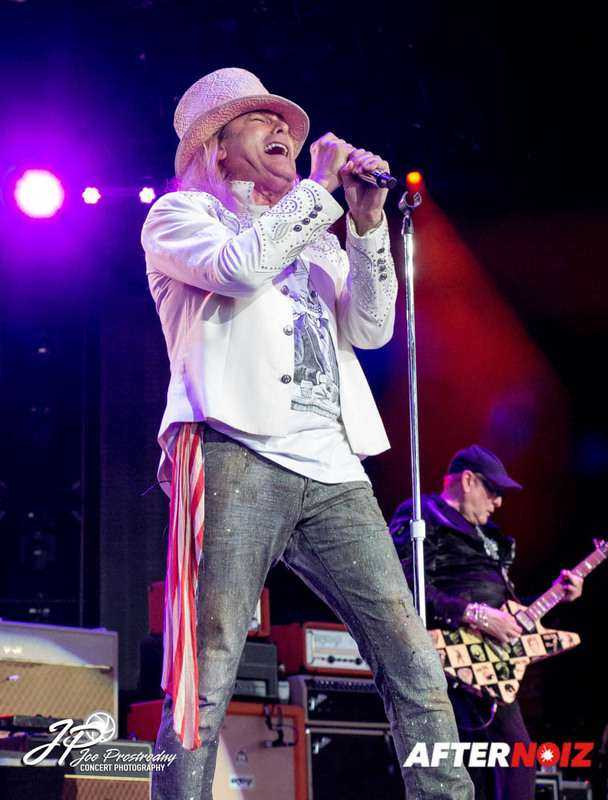 The final song was their version of Zeppelin’s “Stairway to Heaven” that Heart made famous at the Kennedy Honors back in 2012. What an incredible night this was. 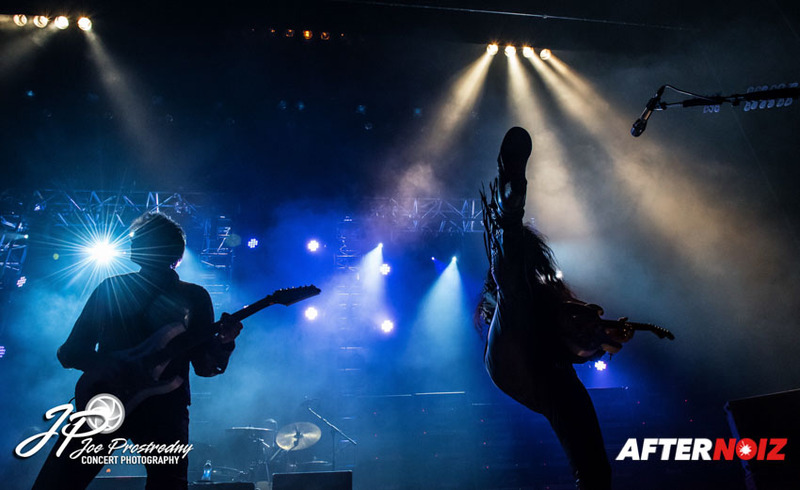 Three great bands, still rocking the world after four decades… taking us all on a high energy nostalgic trip down memory lane. 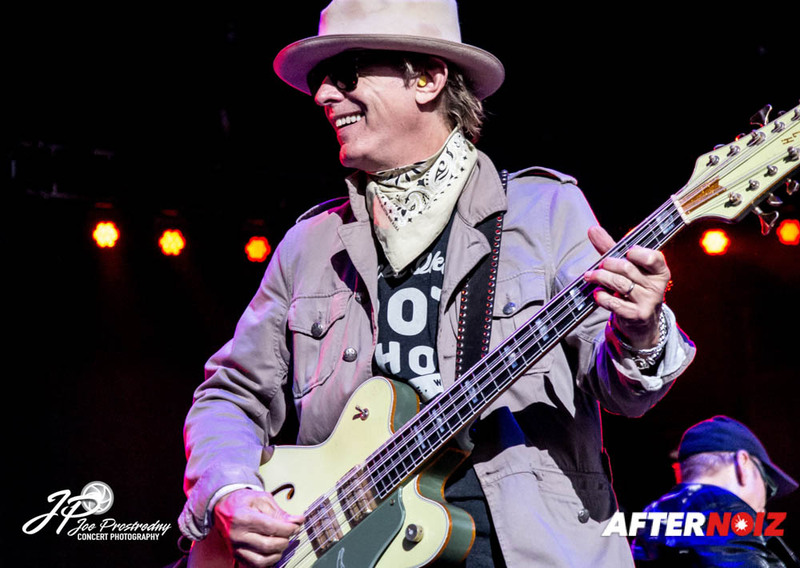 So many incredible, classic songs (with a few new ones) packed into 3 hours and 45 minutes… it was definitely a night to remember… for many years to come!! 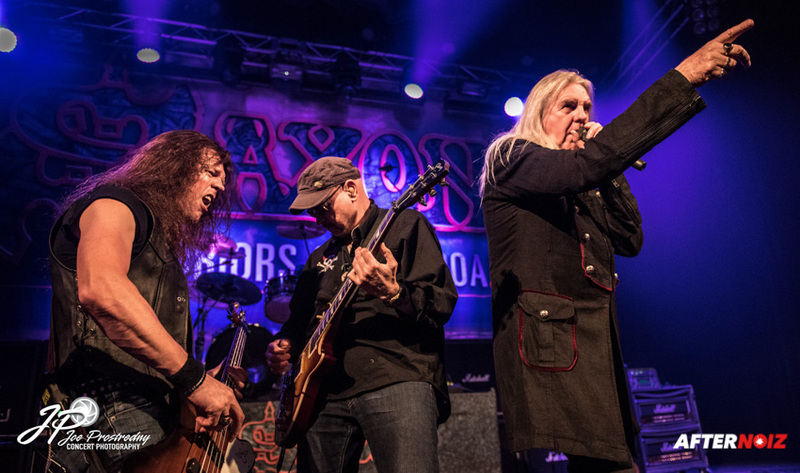 This fantastic tour has now ended, but I’m sure we haven’t seen the last of these bands… and I’ll hopefully be there the next time they come around… and you should be too!